Posted on 24 July 2015 and filed under Home Textiles. I love al fresco dining. A lot. Since I was a kid. When I was not in a mood to eat something (and I was a very picky eater), sure way to get me to eat was to set up a table outside. Or just put put a kitchen towel on the wooden bench, relocate my plate from the kitchen table to it, and I would, all at sudden, happily agree with whatever was on the plate. I enjoy it that much. So how could I resist this beautiful summer weather, and skip opportunities to enjoy my breakfast outside? 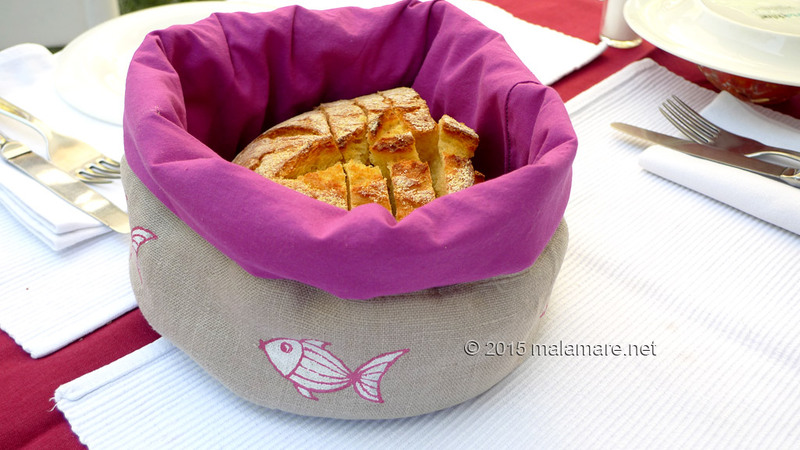 To make the occasions even happier, I decided to make myself a bread basket. 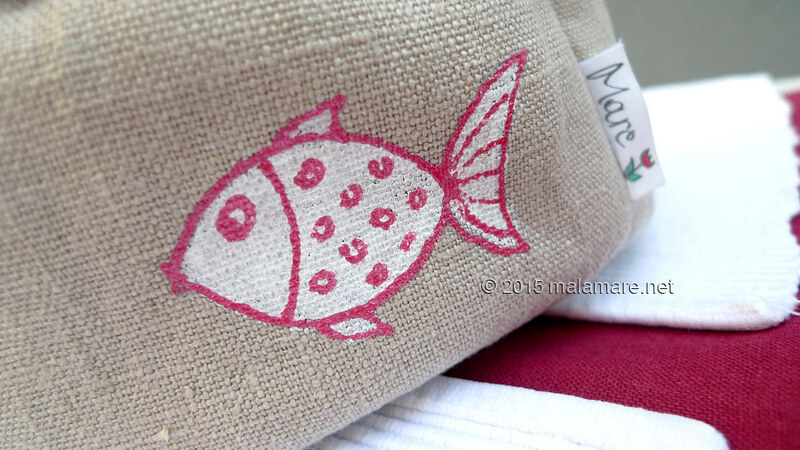 In my favorite fabrics and colours, linen in natural colour outside, fuchsia cotton inside. 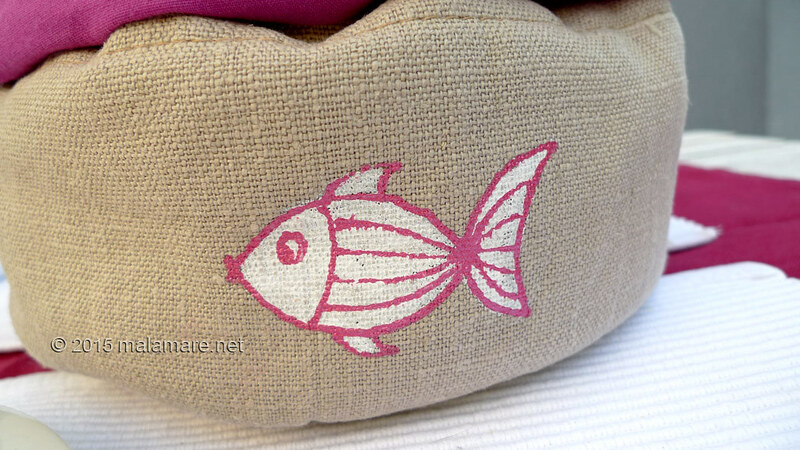 And then I’ve painted some fish on it. And as the thing has to be practical, it is not intended for serving the bread only – whatever of the bread is left, I simply close the top of the basket and it becomes a bag that keeps it fresh. 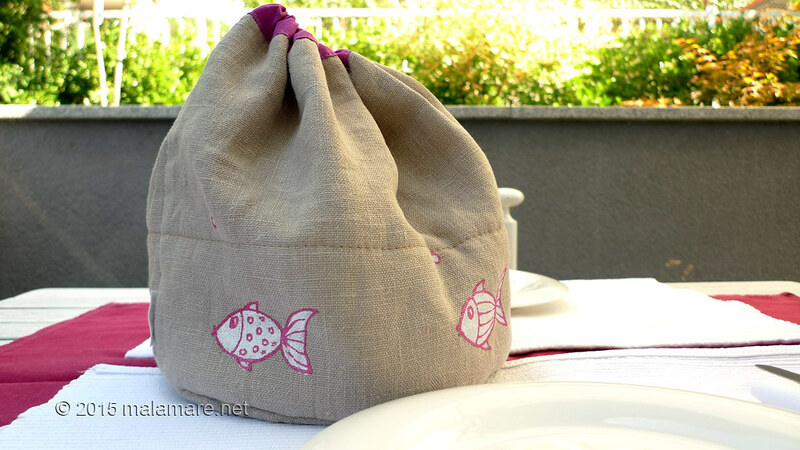 I made the bread basket and bag from linen fabric in natural colour on which I painted five white and fuchsia fish. 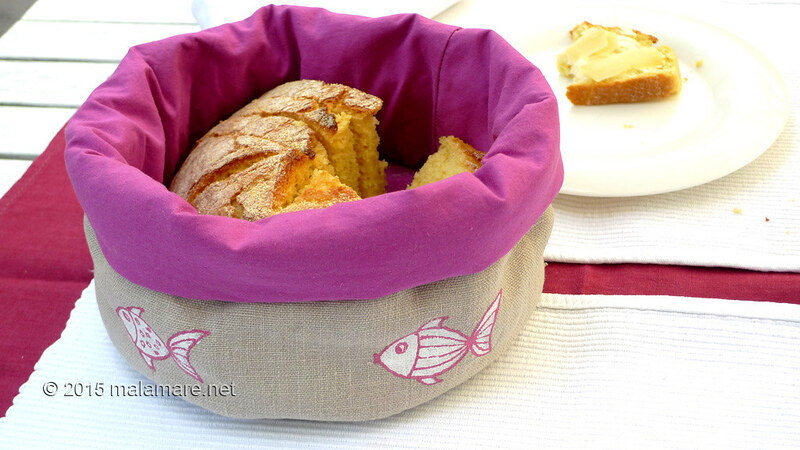 The lining of the basket is made from fuchsia cotton. 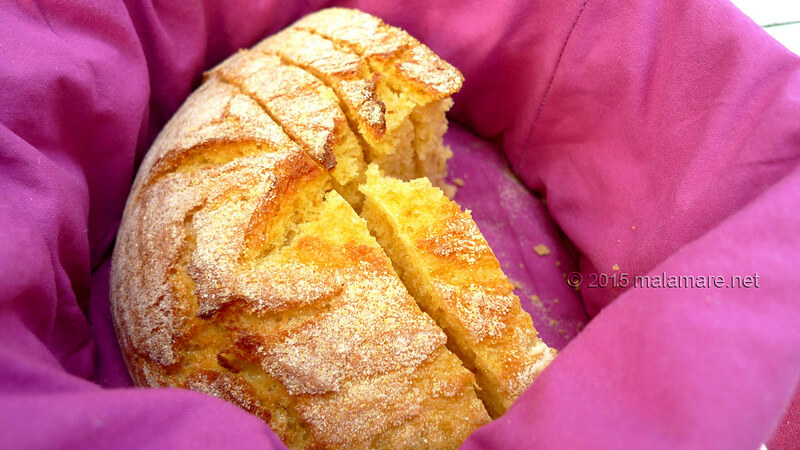 There is a layer of batting between linen outside and cotton inside at the lower third of the basket as well as the very bottom of it – to make sure the bread stays fresh when it is kept in it, closed with a drawstring.